Growing up, My Little Pony was a favorite of mine. I enjoyed watching the show, and I even had some of the pony toys at home to play with. I was really excited when Mr. J and I discovered that there had been a new version created. He likes to watch the show, so when I had the opportunity to review the Season One DVD - I jumped at the chance. It is a 4 disc DVD collection which features all 26 episodes from Season One, as well as bonus features of Sing Along's, Printable coloring sheets and Brand new audio commentaries with cast and crew. Shout! 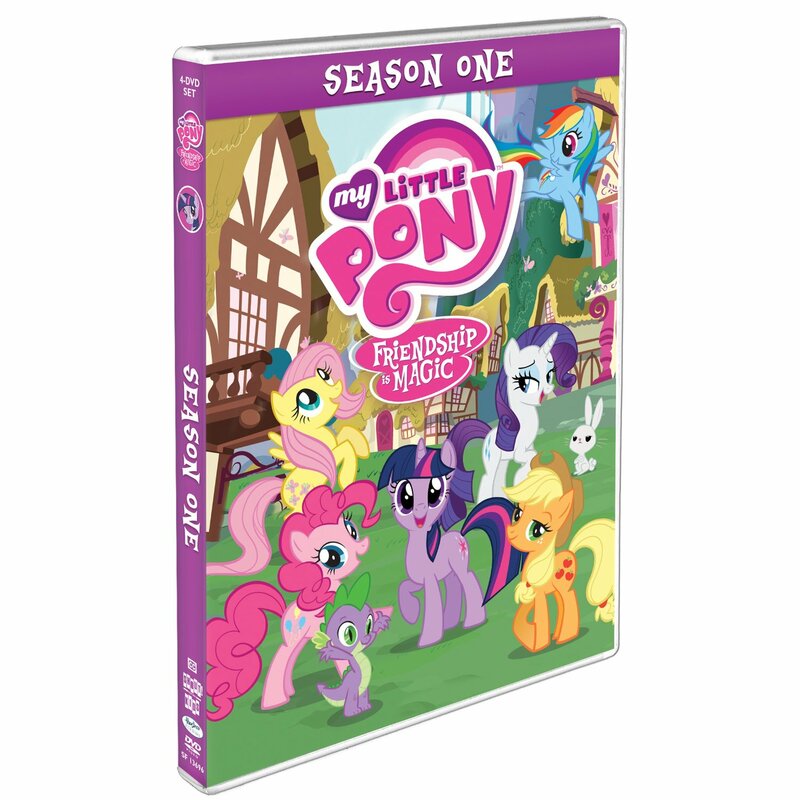 Factory Kids, in Collaboration with Hasbro Studios, will be releasing My Little Pony: Friendship is Magic (season one) EXCLUSIVELY on Amazon.com/Amazon.ca December 4th. The SRP is $34.99 - it is available to order now. 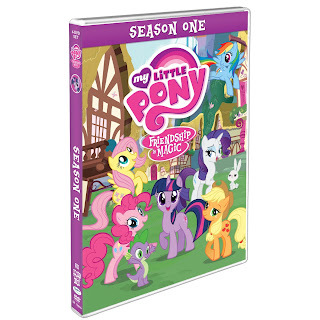 If your kids are fans of Twilight Sparkle, Rainbow Dash, Apple Jack and the other ponies, you won't want to miss out on this 4 Disc DVD collection! We haven't had a chance to watch ALL of the episodes yet, but he loves learning about Friendship through the Ponyville ponies!